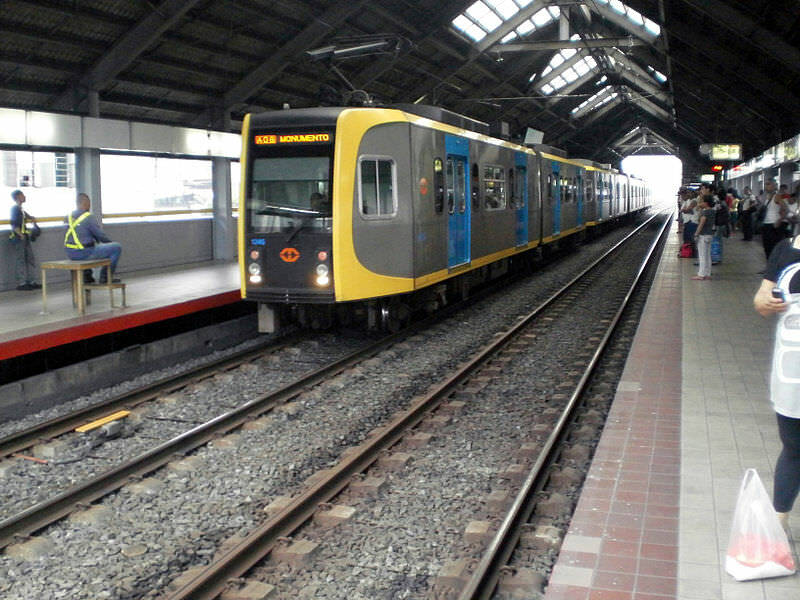 The Manila light rail system operates a number of different rolling stock types, including a Kinki Sharyo and Nippon Sharyo vehicle (pictured). Photo: Philippinerailways. Rolling stock manufacturers Mitsubishi and CAF have been awarded a €225 million contract to build new trains for Line 1 of the Manila light rail transit (LRT) system in the Philippines. Awarded by the Philippines’ Department of Transport and funded through a Japanese loan agreement, the contract covers the delivery of 30 new light rail vehicles (LRV) between 2020 and 2022. These 106m bi-directional units will operate at speeds of up to 70km/h and include 276 seats. It is not the first time Mitsubishi and CAF has worked together on a project. The pair have previously pooled their resources to supply automatic underground units for Istanbul and trams for Canberra. Manila, the capital of the Philippines, is considered one of the cities with the highest population densities in the world. This rolling stock deal aims to improve the capacity of Line 1 to cater for the growing number of passengers, to improve service quality as well as helping to reduce pollution levels in the city. LRT Line 1 is an elevated track line which covers 20km in length and crosses Manila from north to south. The line is currently being extended with a further 12km section towards the Cavite Province.